This past Sunday, Pastor Mike discussed Harvest: our history, our present, and our future. It was a great message that touched on the roots of our church, our values and what is important here at Harvest [Listen Here]. 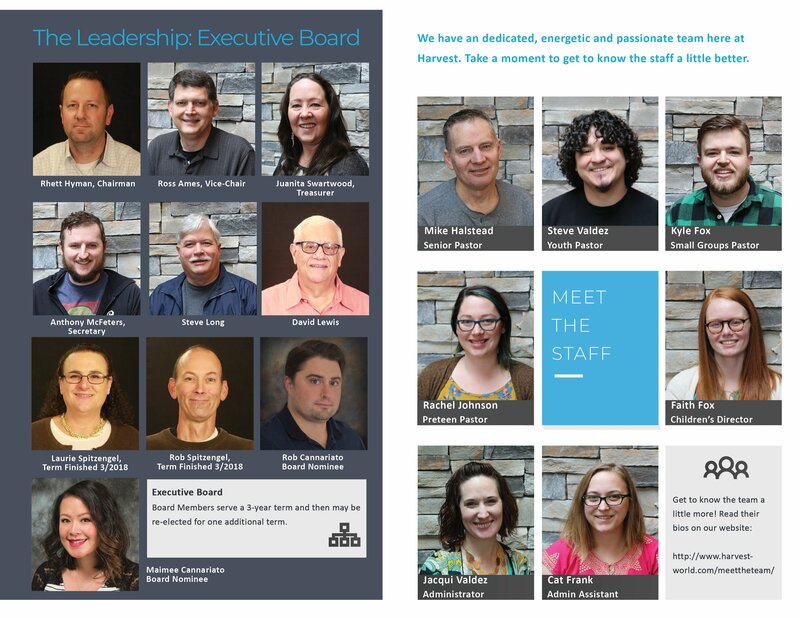 He briefly introduced the staff (meet them here), talked about our Executive and Elder Board, and went over our 2017 Annual Report. 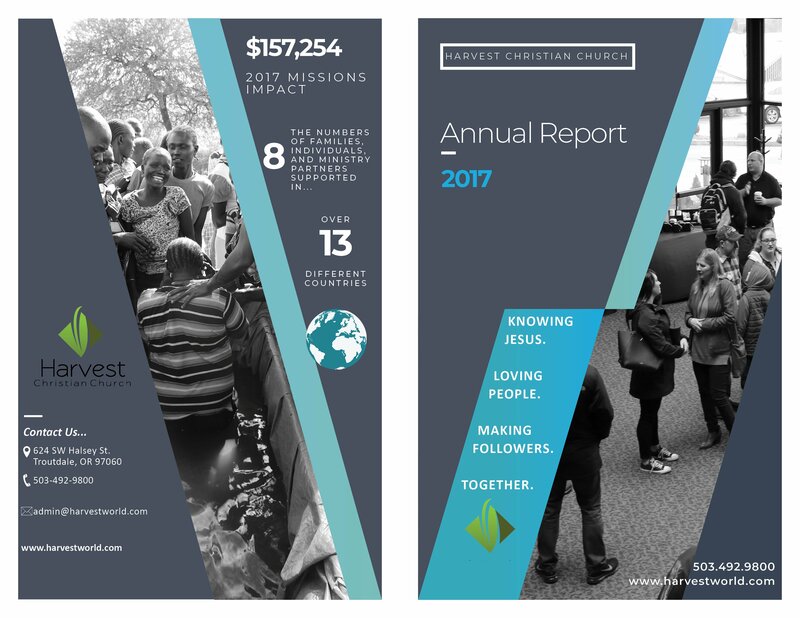 To download a PDF: Annual Report 2017. 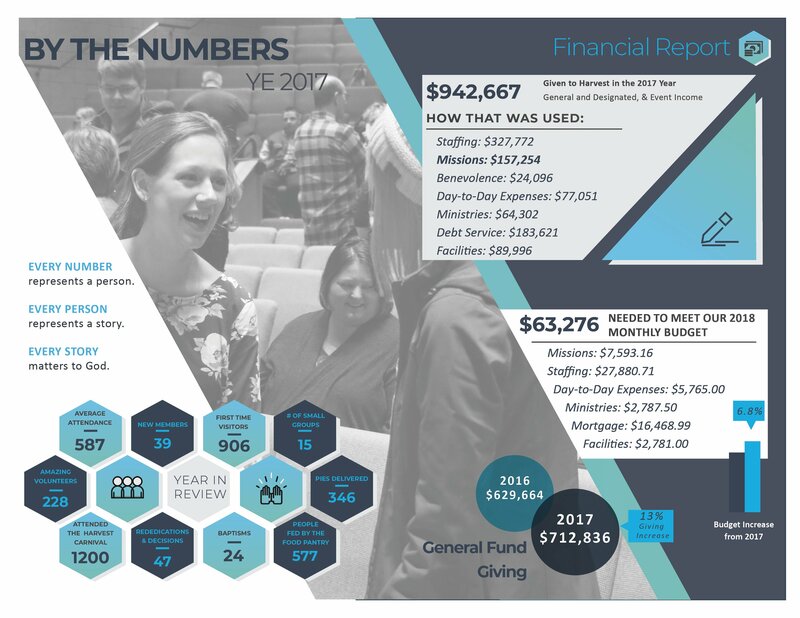 Take a look below at the 2017 Annual Report. It might look like a bunch of numbers, but it is important to remember that every number represents a unique individual with their own story. Here at Harvest, we aren’t about numbers – we are about the people. As a staff and leadership, we are so excited about the upcoming year and what is in store for 2018. For this week’s study, we are doing something a little different. 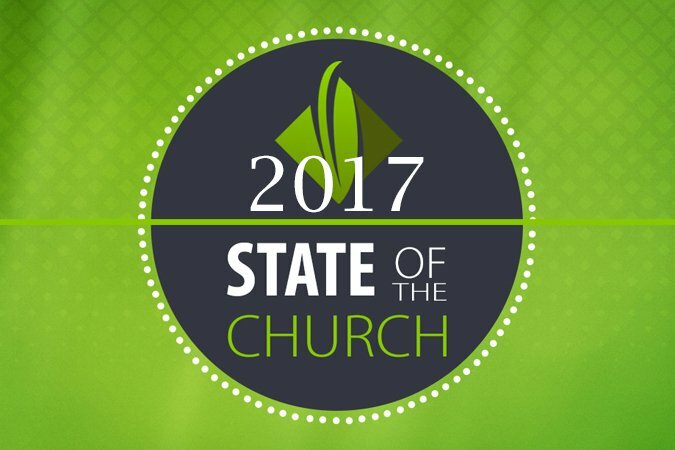 Instead of going further into the texts used in this week’s Sunday morning message, we are going to take some time to look at the “state of ourselves.” That is, we are going to look at where we came from individually, figure out what we find important in the life of the church, and then look to the future as we create a goal for how we can be part of God’s mission in our community. Mike gave a brief history of the movement in church history from which Harvest originates. We are a “reformation” church. Talk about how you came to be a part of Harvest. How was this last year for you, spiritually? What were some highs and lows? Read Acts 2:42-47. Has your life reflected the life of the early church? Let’s start this section with a deceptively simple question: Why do you go to church? What do you believe should be the priority of the church, both the global church and the congregation that meets at Harvest? If Harvest were to create some sort of new ministry or program, and asked you what you believe that ministry or program should be geared toward, what specifically would it do? For example, if community outreach were your answer from the previous question, what practical steps should the church be taking to accomplish that goal? 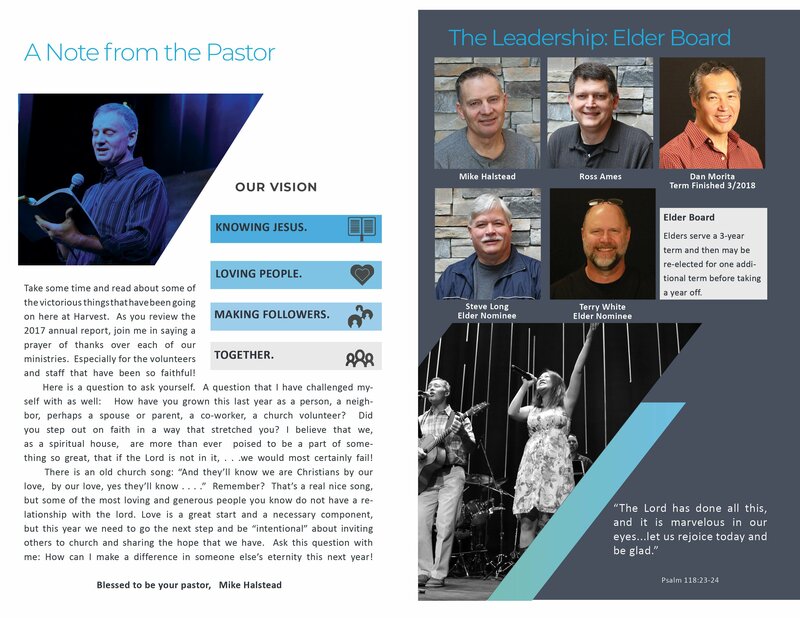 How will you serve the church body over the next year? What is some sort of habit you need to either break or improve this year? In whose life, either within or outside the church, can you make a difference this year? How will you do so? Pray for the upcoming year, and the enormous potential we have. Remember we are a church backed by the almighty creator of the universe. The goals we have are nothing compared to the power and faithfulness of our Lord! Pray for opportunities to carry out our mission and to become a church body that impacts our community in the name of Christ.